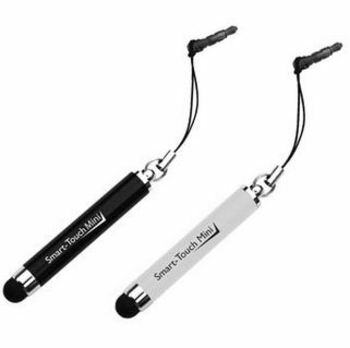 Used to be that pens were just for writing, then we had things like USB's attached to them , and now we have a touch stylus at the end of a roller ball. The latter are great for touch screen gadgets which we all now have somewhere. These tips allow smooth navigation and stop all those horrible finger-marks on the screen. While we like the roller balls with stylus, we love the above. These are little mini stylus's that actually attach to the phone through the ear jack. So you don't lose them and therefore you will use them! Have you been out and about with your gloves on, got out your phone and really wished you did not have to take those gloves off so that you can use the phone? Wish you had a little stylus attached to your phone? Think about how many people work in cold warehouses with gloves on. And how many times have you been out there to take a delivery and the delivery man is struggling with a biro on a touch screen gadget? All in all a must have gadget for some people which we say makes it a promotional winner . Newer PostMicro fibre cloth - amazing stuff!